Pink Castle Blog: Everything New At Pink Castle! Everything New At Pink Castle! It's been a huge week for us, with the arrival of Cotton+Steel and Quilt Now, but that's not all that's new at Pink Castle! Back by popular demand is the Secret Stash Box! 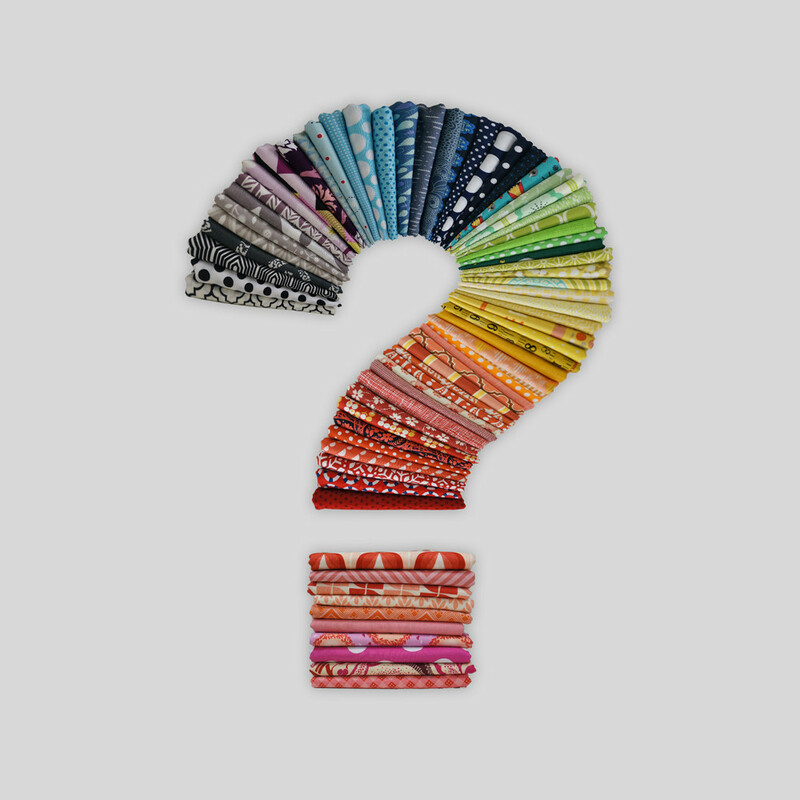 Each Secret Stash Box contains 50 different fat quarters, selected from all the quilting cotton available in our shop. The cost is just $80 ($6.40 a yard)! It's a great way to add depth to your stash. And you'll get a Golden Ticket with it (as long as we have tickets left)! Spend an extra $20 and get a second Golden Ticket as well as free shipping (if you live in the U.S.). Katrina Roccella's Indelible just arrived. It's full of natural motifs juxtaposed with colors and imagery you wouldn't necessarily expect to see in a woodland setting. It's a mature, dream-like collection, and I absolutely love it. 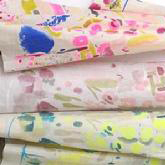 The colors of Gleeful, from Sew Caroline and Art Gallery, practically pop off the fabric. 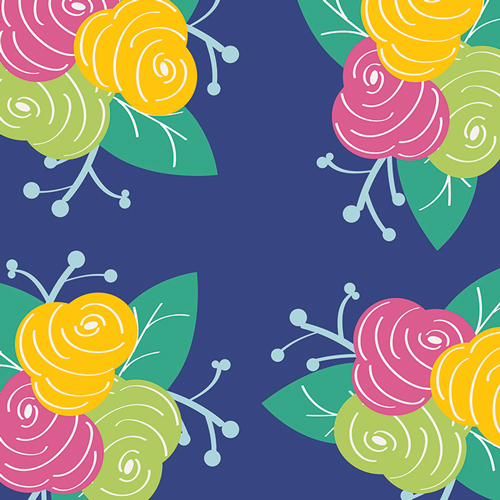 Blossoms and stripes and dots and squiggles dance on fields of blue and gold and pink. Described as 'the story of a young, carefree woman in pursuit of her dreams', this is a fun collection to have and to play with! It's also an Art Gallery Limited Edition, so grab it now! 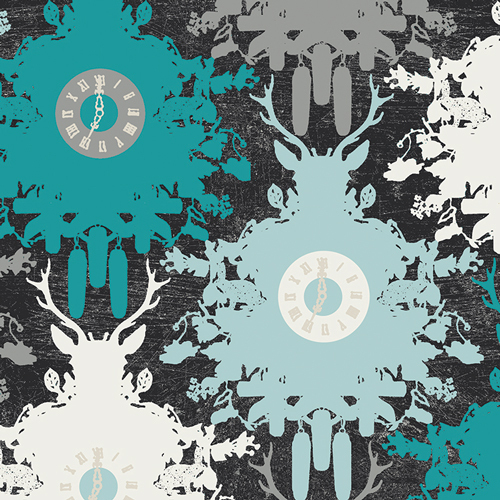 Enchanted, from Sarah Fielke and Windham Fabrics, is everything its name implies. 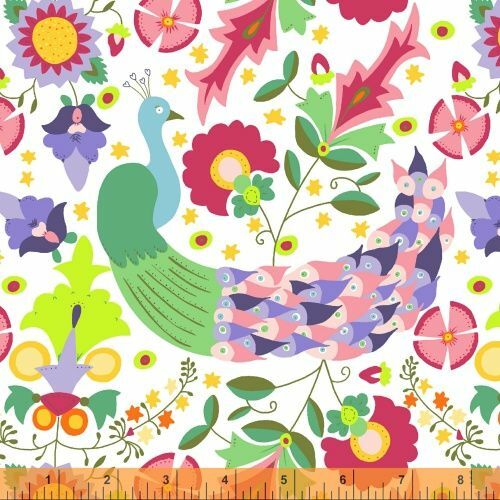 Imagine brightly colored peacocks strutting through magical gardens and you've got the right idea. Every print is overflowing with color! And to top it all off, lots of new Nani Iro double-gauze! Take a look at all these beautiful, super soft prints. These amazing two-play gauzes are perfect for summer garment-making (and, of course, quilt making)!